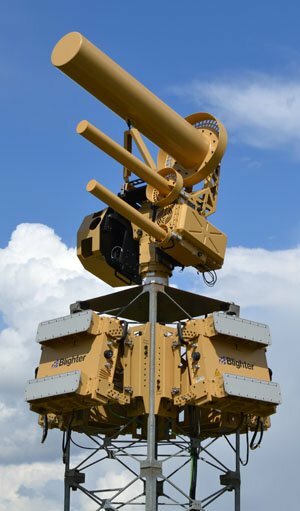 London, UK, 31 May, 2016 - The world’s first fully integrated detect-track-disrupt-defeat Anti-UAV Defence System (AUDS) – developed by a trio of British companies including Blighter Surveillance Systems, Chess Dynamics and Enterprise Control Systems, and integrated/supported in North America by Liteye Systems Inc. – has been selected by the United States Federal Aviation Administration (FAA) for evaluation at US airports as part of its Pathfinder Programme. According to the FAA, each month it receives more than 100 reports from pilots and others who spot what appear to be unmanned aircraft flying too close to an airport or manned airplane. It has become a serious safety concern for the agency and a potential security issue for the Department of Homeland Security (DHS). The AUDS counter-UAV system can detect a drone six miles (10km) away using electronic scanning radar, track it using precision infrared and daylight cameras and specialist video tracking software before disrupting the flight using an inhibitor to block the radio signals that control it. This detect, track, disrupt, defeat process is very quick and typically takes 8-15 secs. The AUDS team has now carried out over 400 hours of ‘live’ testing in government related trials against more than 400 flown sorties of group 1 UAVs. “AUDS is able to operate effectively in complex airport environments night and day whatever the weather and without disrupting other airport equipment,” added Mark Radford. “Using AUDS, the operator can effectively take control of a drone and force a safe landing inside or outside the airport perimeter. 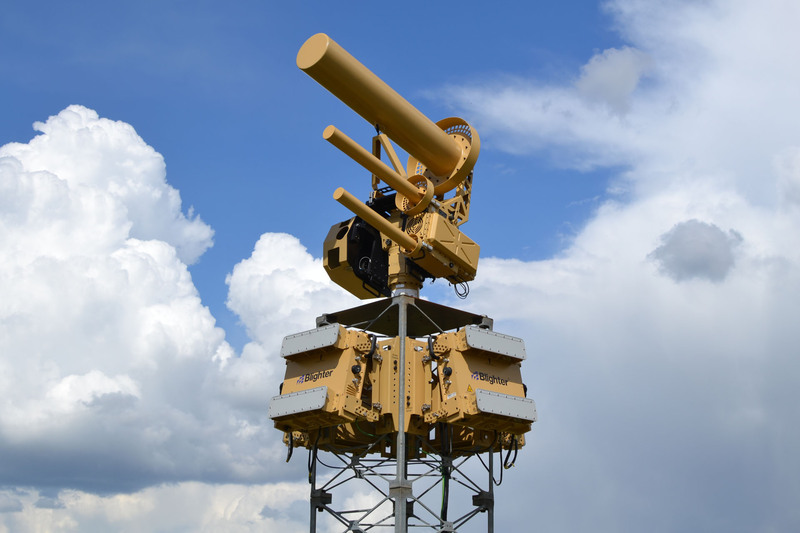 The Anti-UAV Defence System (AUDS) integrates the Blighter Surveillance Systems’ A400 Series Ku band electronic scanning air security radar, Chess Dynamics’ stabilised electro-optic director, infrared and daylight cameras and target tracking software, and a directional radio frequency (RF) inhibitor from Enterprise Control Systems to detect, track, classify, disrupt and defeat UAVs at ranges of up to 10km. The AUDS system is even effective against so-called Group 1 micro UAVs at ranges of up to 2km and Group 1 mini UAVs at ranges of several kms. 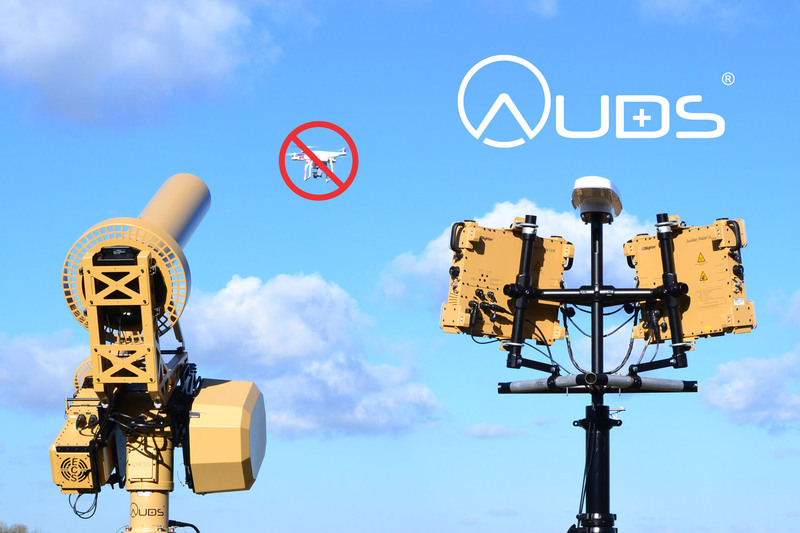 The AUDS system is designed for countering drones or remotely piloted aircraft systems (RPAS) in remote border areas, at key infrastructure sites such as airports, air fields, nuclear power stations, oil refineries or for protecting political or sporting events in urban areas. It can be operated from fixed locations and from mobile platforms. For more information about AUDS, please contact any of the partner companies: Blighter Surveillance Systems: visit www.blighter.com, telephone +44 1223 491122 or email auds@blighter.com. Chess Dynamics: visit www.chess-dynamics.com, telephone +44 1403 249888 or email auds@chess-dynamics.com. Enterprise Control Systems: visit www.enterprisecontrol.co.uk, telephone +44 1327 860050 or email auds@enterprisecontrol.co.uk. The AUDS team is represented by Liteye Systems (www.liteye.com) as its exclusive channel partner for the USA and Canada. AUDS will be showcased at Eurosatory, the world’s largest international land and air/land defence and security exhibition, taking place from 13-17 June in Paris, France – come and meet the AUDS team on stand KJ657 in the UK Pavilion. Chess Dynamics is an entirely UK owned British company providing end to end electro-optic and video tracking solutions. Its platforms and cameras are in service with military forces around the world. From the range of Hawkeye electro-optic surveillance systems, the Hawkeye Deployable System (DS) is at the heart of AUDS, combining the proven Viper dynamic positioner (VDP), cooled IR camera, Chess Piranha 46 high resolution daylight camera and video tracking and Graphical User Interface (GUI). All of the elements of the Hawkeye DS are already in service with the Royal Navy and British Army and have been used and supported on operations in Afghanistan. 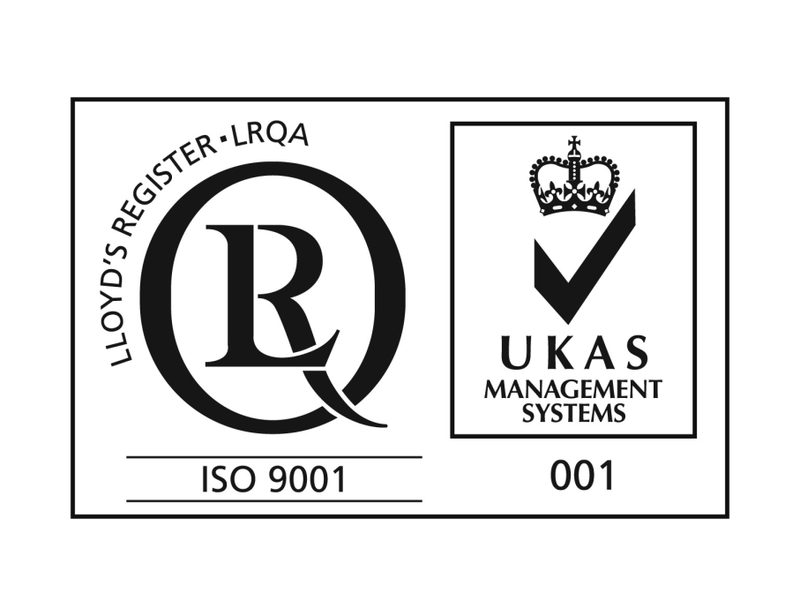 Chess Dynamics' products and EO systems are manufactured on site to BS ES ISO 9001, Mil-Std-461 and 810C. Chess Dynamics is based in Horsham, West Sussex in the UK. Liteye Systems, Inc. is a leader in surveillance systems for protection of critical infrastructure. Products include radars, covert thermal cameras, tactical displays, and the new AUDS counter UAS system. All of its cutting edge solutions feature revolutionary designs that enable a broad range of military and commercial applications. Headquartered in Centennial Colorado, the company has offices in the UK and representatives worldwide. The AUDS team is represented by Liteye Systems as its exclusive manufacturing/integration partner for the USA and Canada.